Premier Removals same day man and van removal service operating in London and throughout the UK offers a first class removal, delivery and collection service throughout London and the UK at very affordable prices. Premier Removals man and van service offers professional house, flat and office moves in London and the UK. 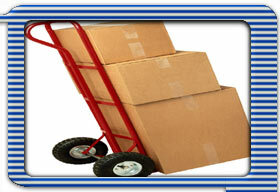 At affordable and competitive prices everything from single items to whole household and office relocations. Whether you are moving from a flat, house storage or need an item picked up or collected we quote for each job on an individual basis with the most competitive prices in London, north, south east and west. Premier Removals are the best. Such as bed, fridge/freezer, washing machine etc we can collect from store and deliver to your door. For exhibition work, we can pick up equipment, large or small, and we can deliver and collect from your exhibition hall. Balham, Battersea, Beckenham, Blackheath, Bromley, Camberwell, Camden, Catford, City, Clapham, Croydon, Crystal Palace, Dulwich, Elephant & Castle, Forest hill, Greenwich, Herne Hill, Kennington, Lambeth, Lewisham, Merton, New Cross, Norbury, Oval, Southfeilds, Streatham, Sydenham, Tulse hill, Vauxhall, Wandsworth, West Norwood, Westminster, Wimbledon, Woolwich and many more. Call us for a quote on telephone numbers ……..